The dhole (Cuon alpinus) is a canid species hunting in packs living in India, China and Southeast Asia. It is classified as an endangered species by IUCN. Dholes have been reported to produce many types of calls in several situations both in wild and captivity and probably communicate with these calls. However, the function(s) of the calls is not known yet. I have studied dholes in Japanese zoos since 2010. In order to estimate the function(s) of each call types, I plan to observe the behavior of wild and captive dholes in India and analyze relationship between the call types and behavior. This time, I visited Arignar Anna Zoo in Chennai, Tamil Nadu state, Mudumalai National Park, Tamil Nadu state, in India and Singapore Zoo in Singapore for preliminary research and training for the study of wild dholes. I video-recorded the behavior and calls of captive dholes at Arignar Anna Zoo and Singapore Zoo. 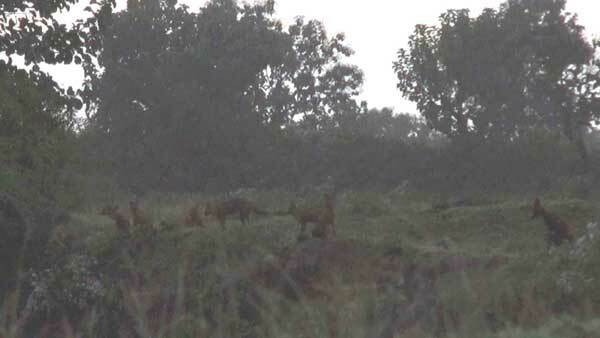 I also observed and video-recorded wild dholes at Mudumalai National Park. In Arignar Anna Zoo (early November to early December), there were only 7 individuals because 12 individuals out of 19 were dead due to a disease transmitted by mongooses in October in 2010. I video-recordeded the behavior of all 4 females in a group. I recorded call types that I could not hear in Japanese zoos. One of the call types must be an alarm call because a female produce it when people noisily walk closer to her. In Mudumalai National Park (late October to early November, and mid December), I was able to video-record the behavior of many wild dholes including pups. 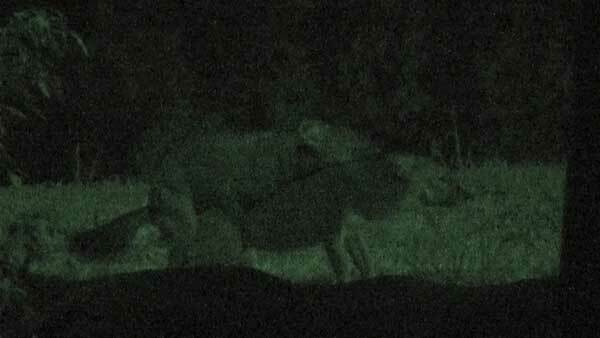 In Singapore Zoo (24th to 27th December), I video-recorded copulation of dholes in nighttime and the sounds that a female produced after copulation. I will analyze continuously these data.